The leadership team for the Fellowship of Grace Brethren Churches — the Fellowship Council: left to right, row 1, D. Thornton, G. Howell, D. Jackson, D. Courter; row 2, B. Sawatsky, B. Fetterhoff, M. Saldivar, G. Serafino; row 3, N. Bryant, J. Carmean, R. Weekley; row 4, Halberg, R. Todd, C. Cruise; row 5, D. Kennedy, T. Avey. 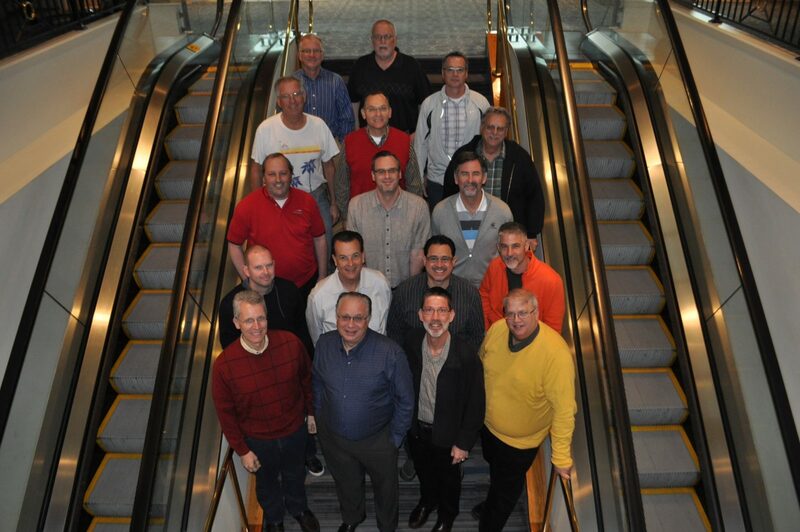 The Fellowship Council, the leadership team of the Fellowship of Grace Brethren Churches, began meeting this week in Long Beach, Calif. 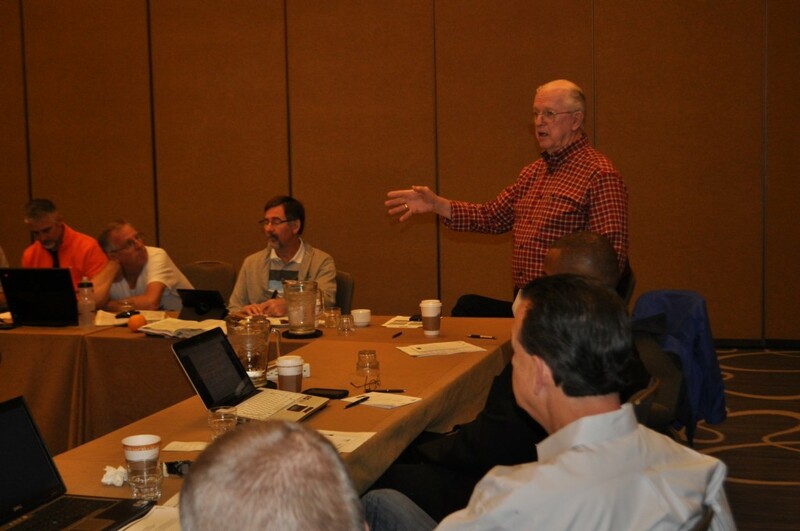 Led by executive director, Bob Fetterhoff (pastor of the Grace Brethren Church, Wooster, Ohio, the group kicked off this morning by hearing reports from the executives of the national organization that are affiliated with the FGBC. After lunch, they opened discussion on the process of developing a statement of common identity. Then they broke into sub-committees to deal with various business matters. Additional photos may be found at facebook.com/graceconnectus.